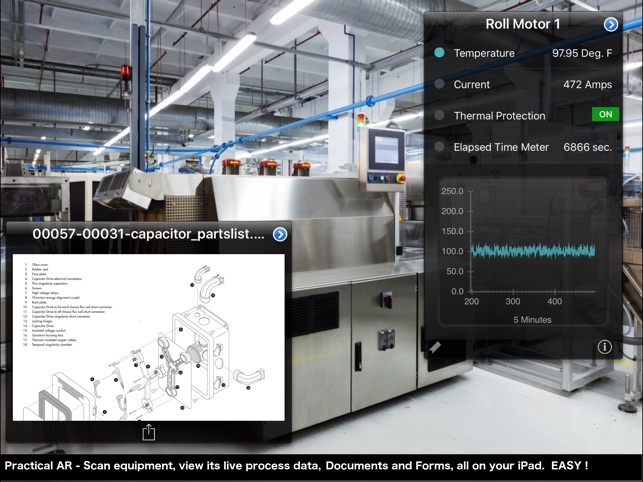 iQagent is an award winning 'Practical' Augmented Reality app that recognizes equipment on your plant floor using QR Codes (Points Of Interest) and displays relevant live process data, schematics and other resources about it on your iPad or iPhone. 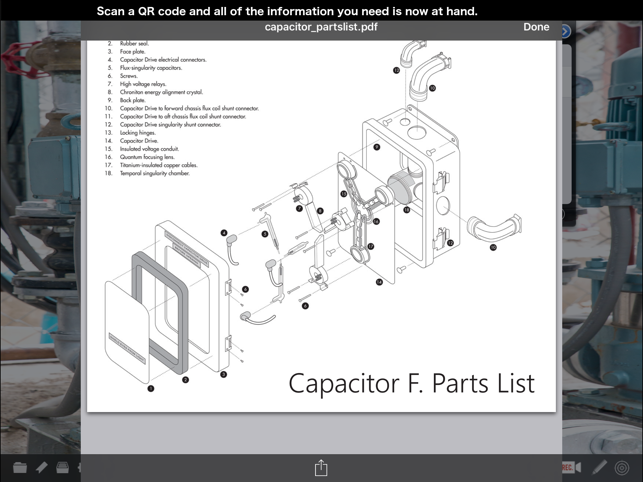 For instance, you could scan a QR code an assembly line with your iPhone or iPad, and show the number of units produced, production rate, and number of rejects, all live data from your HMI, SCADA, PLC (via OPCDA or OPCUA) or Database via ODBC. You can also view preventative maintenance procedures and trouble reports from your local systems, or call up production schedules from a database, or email or call a vendor or supervisor. 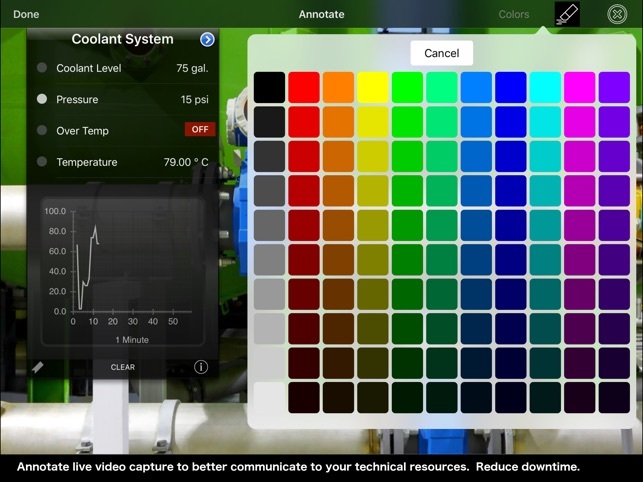 iQagent is also a holistic data display and recorder for industrial and process environments. 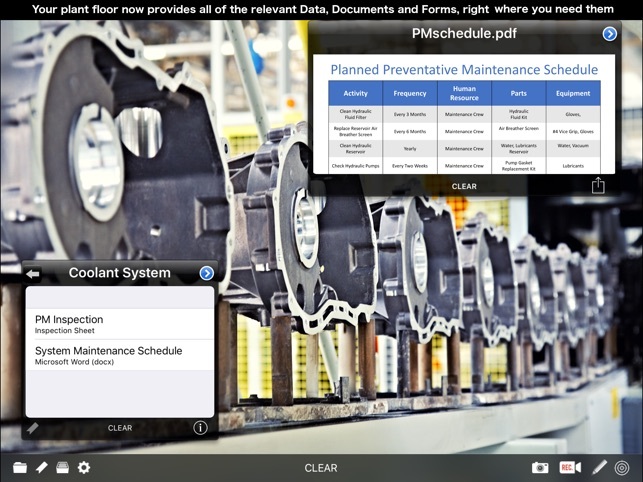 It will allow you to make your plant floor a data rich environment where you can access live process data, documentation, and resource links on specific machines, equipment, and processes on the plant floor. Using the iQagent configuration utility, create and configure Point Of Interest (POIs) for equipment, machines, work cells and processes around your plant. The POI Data View shows live process data you configure by browsing your existing SCADA, HMI, PLC or DCS via OPCDA or ODBC. You can also configure charts to show the data such as trends, bar graphs or pie charts. The POI Info View allows you to associate any document, URL, email address or other resource to allow for quick access. Next, print each POI's QR code and place them near the actual equipment or process in the plant or environment. On the Plant floor, use the iQagent iPad App to scan the QR Codes to show the data views for POI. You can also quickly view any POI by simply browsing to them. There is even a favorites list for quick access. Having problems with your process, or unscheduled downtime? iQagent can help resolve these costly problems quickly! 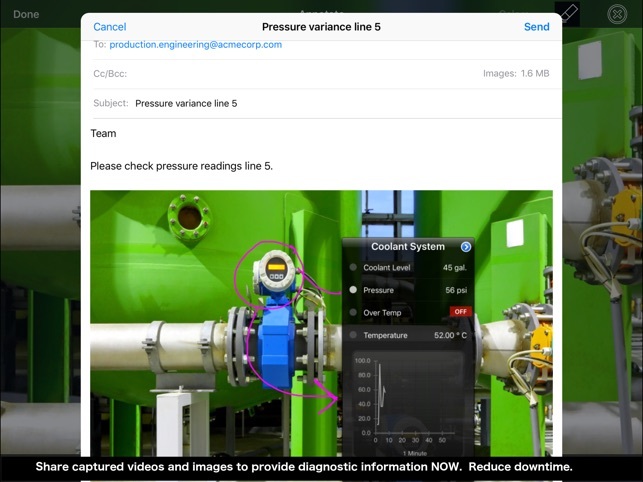 Use our patented record or snapshot features to record the problem, which includes everything on the display: live Data Views, Info Views, video and your annotations directly on the screen. The audio feed will capture the process sounds and operator feedback on the issue. 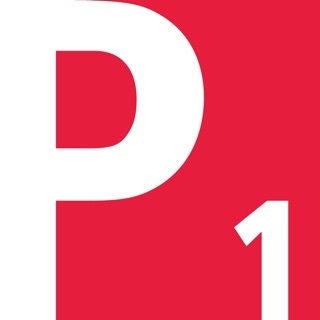 The resulting mp4 video is a holistic representation of your process which can be emailed or sent to offsite support personnel who can quickly identify and isolate the problem without waiting for them to come to the site! iQagent works with Apple TV, so the display can be streamed to your conference room's HDTV, allowing management to review process issues real time without having to disturb production. iQagent comes with a full featured internal mode to allow scanning of QR Codes and simulated data and info views. Visit us online for sample QR Codes that work with the demo mode for testing. Display live process data and info views anywhere you have a connection (wireless or 4G). Instant access to relevant data for any configured POI: Live data (PLC, SCADA or ODBC), charts, documents, URLs, email addresses, work order requests, or intranet data sites. Record holistic videos, including Live video from process, data and document overlays; audio from user and on screen notes. Send these recordings to remote technical staff for quick problem analysis. 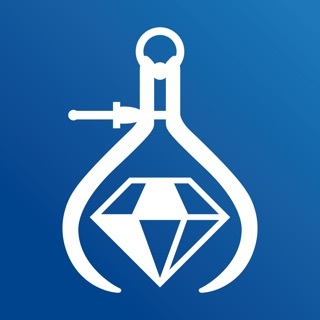 The app now takes in additional parameters when it is launched from iQagent.